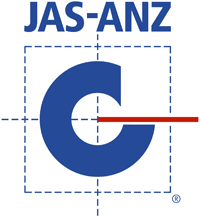 Tecslab is a lightweight, durable alternative to wet-poured concrete flooring combining TECBEAM I-beam joists with CSR Hebel SoundFloor Aerated Concrete floor panels. 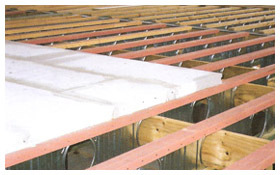 TECslab floors can provide acoustic, vibration and thermal insulation comfort levels similar to suspended reinforced concrete floors. As the installation of SoundFloor panels is a “dry” process, it can be done by the Carpentry team, at a significantly lower cost of construction compared to wet-poured concrete slabs. 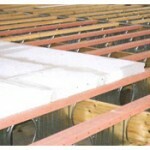 TECslab provides excellent insulation between floors. 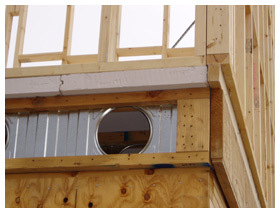 When used in the construction of floors in multi-level apartments, offices and public buildings, where two or three layers of fire-resistant ceiling plaster and R1.5 roof batts installed under the floors, an R-valu8e of between 2.82 and 3.46 can be expected (CSR thermal Data). 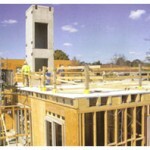 Multi Level Apartments at 350 Mont Albert Road, Mont Albert provide a useful case study. 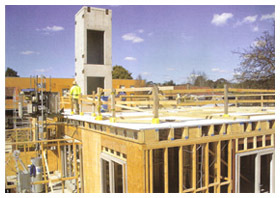 This three level, sixteen apartment project was originaly designed as a steelwork and concrete suspended slab construction. 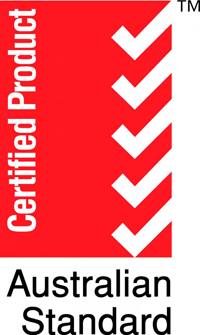 As developer Erison Pty Ltd says “We saved time and achieved net construction cost savings of over eight thousand dollars per unit for the eight upper level units, compared to the original all-concrete designs. There was no compromising the floor’s performance”. By susbstituting the TECslab system for the floor and QT Panel lightweight external cladding in place of all masonry construction, concrete and steelwork were eliminated entirely on the upper two floors. 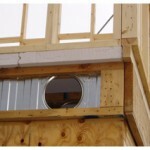 A combination of TECBEAM joists and LVL beams was used to support the upper two levels.